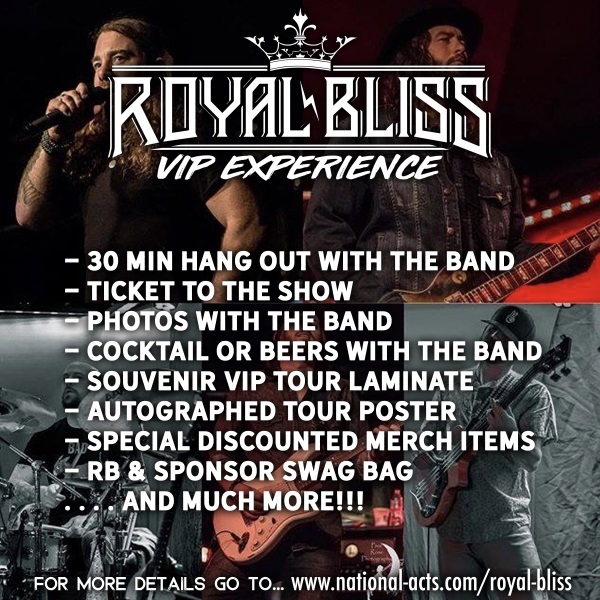 Tickets for Royal Bliss VIP - Waterloo, IA in Waterloo from National Acts Inc.
Check-in for the meet and greet will take place immediately after doors open at the Royal Bliss Merch Table inside the venue. Further information is provided in your confirmation email after you purchase. You will also receive an email within 24 hours of the show with further instructions. Royal Bliss reserve the right to change the contents of the VIP Package at any time based on availability. Absolutely no refunds, discounts or exchanges. © 2019 National Acts Inc. on behalf of Royal Bliss. All sales are final. Tickets are non-refundable.